Denny Strickland has been named by Rolling Stone as one of the top 10 Country Artists To Watch in 2017. Strickland was a competitive horse rider in his youth, where he learned the discipline and poise of performing in front of an audience. It was at an equestrian event that he met Johnny Cash’s longtime bassist the late Marshall Grant, who ended up mentoring the musician after hearing one of the rider’s demos. 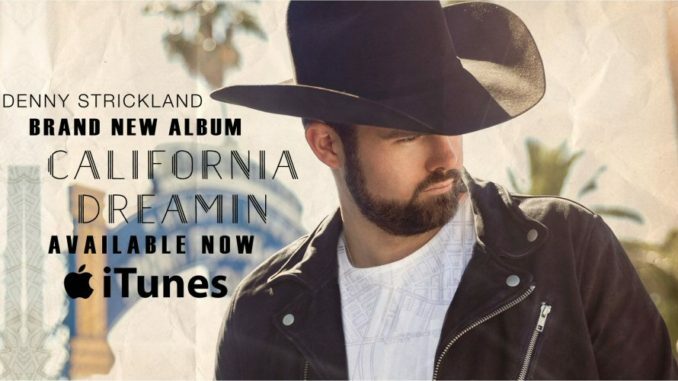 Denny has released a number of singles and on October 19, 2017, Denny successfully launched his first LP California Dreamin at a well-attended CD release party at 3rd and Lindsley in Nashville, Tennessee. The charismatic Denny Strickland begins California Dreamin in Nashville. The party in Nashville was a celebration of the launch of the new record and Denny’s latest triumph with his video for the single “We Don’t Sleep” hitting #1 for 3 weeks on the CMT and top 20 Music Row Charts. Denny’s video for “California Dreamin” features actress Sara Capps. Together they tell the story of a toxic yet undeniable relationship. Both songs are on Strickland’s latest 11-track collection of contemporary country music. Sights and sounds aplenty at the Denny Strickland CD release in Nashville. 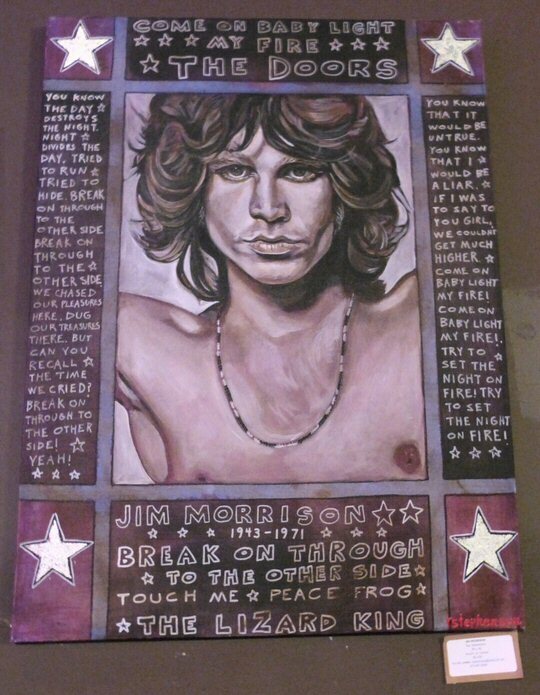 As we took our seats at 3rd and Lindsley we noticed new artwork on the walls of this well-established venue. Drinks and appetizers were served prior and during Denny’s energetic set that showcased eight songs from California Dreamin. 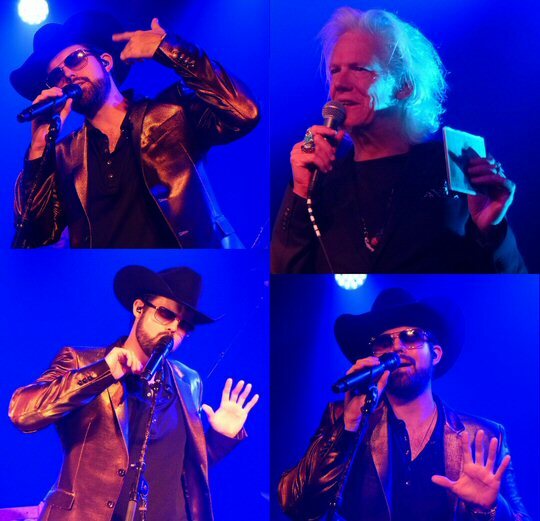 Following an enthusiastic introduction by long-time Nashville music executive Skip Bishop, Strickland emerged looking very much like a cowboy with the support of a talented team of musicians. They opened with the catchy title track. Denny was an expressive artist and vocalist who easily engaged the crowd. Quite a few fans surrounded the stage to watch the smooth cowboy with groove perform. “SloMo” paired with “Don’t Ya Wanna” were seductive as Strickland swayed to his magical muse. The songs also included riveting rhythms and plenty of punchy guitars. “We Don’t Sleep” along with the closer “Gimme Some of That” blended innovative instrumentation with silky singing and singular hooks. At 3rd and Lindsley, Denny Strickland demonstrated why he has earned the title of 10 Country Artists To Watch in 2017. Both his LP and live performance proved that Denny has what it takes to be a success. Strickland has compelling compositions, determination, hooks, looks and stage presence. 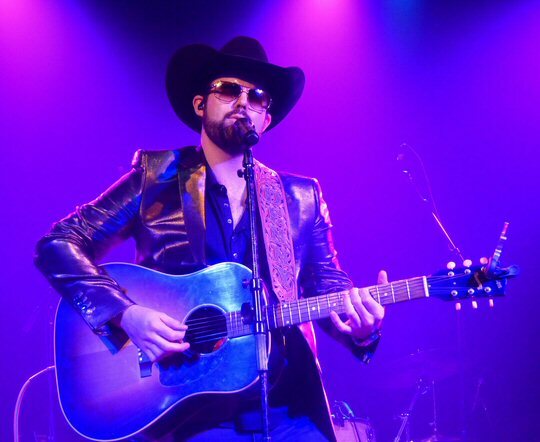 Having been a former rider Denny has the creed to wear cowboy gear as he crafts a new type of country music that tips his hat to the classic songwriters of the genre in a contemporary style that is distinctly his own. 3rd and Lindsley is a well-known venue in Nashville that hosts legendary and up-and-coming artists such as Denny Strickland. The bar & grill has a number of in resident bands such as The Time Jumpers. Please check their website for their packed calendar. Nashville’s 3rd and Lindsley has a stunning new set of music themed artwork on display.